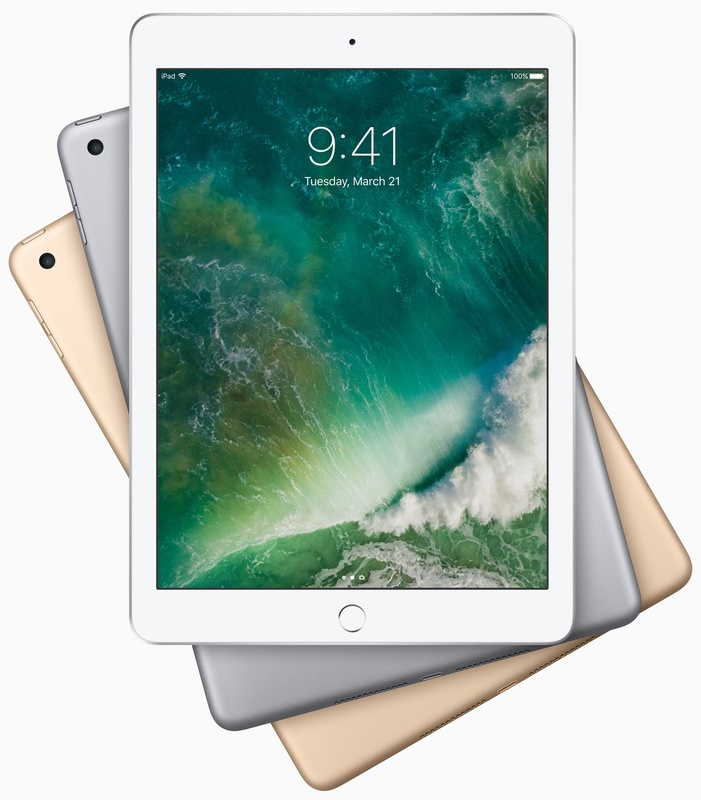 Aside from announcing a beautiful new (PRODUCT)RED finish of the iPhone 7 series, Apple today unveiled a new, more affordable 9.7-inch iPad model, its most popular-sized tablet. 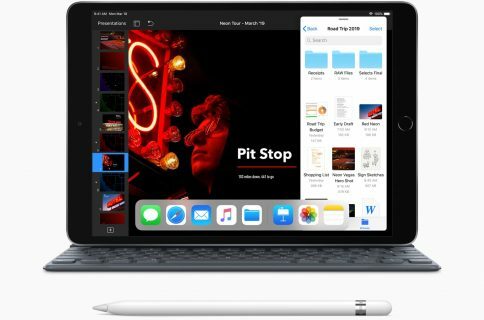 Featuring a brighter 9.7-inch Retina display and Apple’s previous-generation 64-bit A9 chip, the 9.7-inch tablet will be available this Friday starting at $329 for the 32GB with Wi-Fi model, its most affordable price ever. 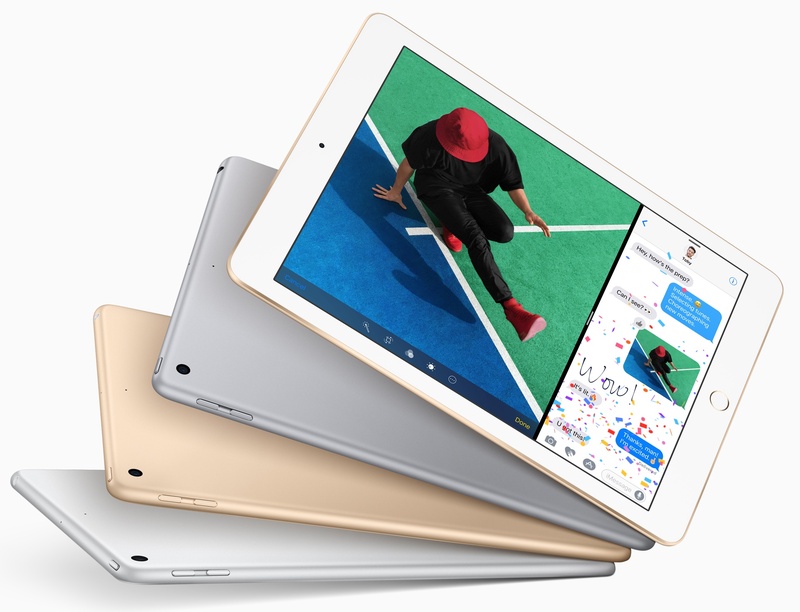 The Wi-Fi + Cellular model of the new 9.7-inch iPad is priced at $459. Apple is simply calling the new device “iPad” rather than promote it under the iPad Pro moniker because it runs the A9 chip that powers the iPhone 6s and iPhone SE series, not its more powerful A9X counterpart driving both iPad Pro models. The iPad Air 2 models that the new tablet replaces were powered by Apple’s A8X chip and cost $70 more, starting at $399. 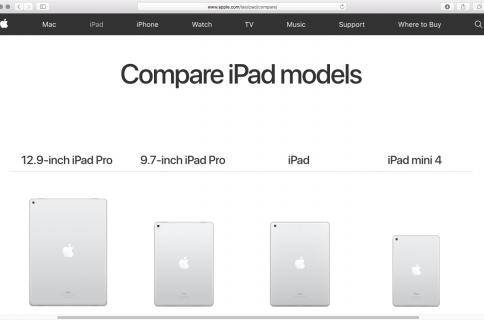 As of today, iPad Air 2 is no longer sold by Apple. 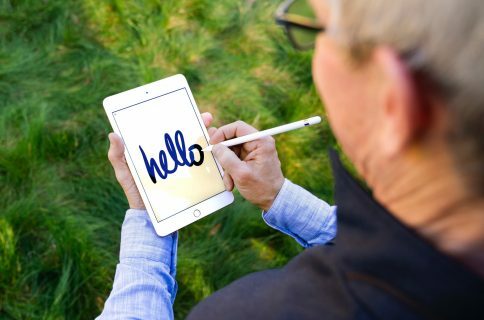 The new iPad lacks a fully laminated display and anti-reflective coating and is only available with 32 and 128 gigabytes of storage. It does not support Apple Pencil and lacks a Smart Connector. 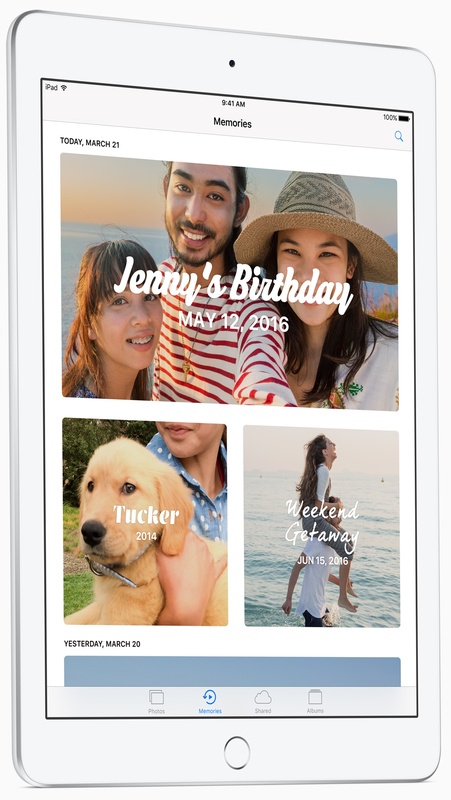 The 128GB Wi-Fi version is priced at $429, or $559 for the cellular edition with 128GB of storage. Check out Apple’s Tech Specs webpage for the full specs. “iPad is the world’s most popular tablet. Customers love the large, 9.7-inch display for everything from watching TV and movies, to surfing the web, making FaceTime calls, and enjoying photos, and now it is even more affordable,” said Philip Schiller, Apple’s senior vice president of Worldwide Marketing. The new iPad model comes in Silver, Gold and Space Gray finishes. The device will be available to order beginning this Friday from apple.com. Shipments will commence next week, when the new device will arrive in Apple Stores and launch via select carriers and Apple Authorized Resellers in the United States and more than 20 countries and regions, including Australia, Canada, China, France, Germany, Hong Kong, Italy, Japan, Mexico, Netherlands, Spain, Sweden, Switzerland and the United Kingdom. Denmark, India, Mexico, Norway, Russia, Turkey and other countries and regions will follow in April. Brazil, Taiwan and other countries and regions will follow in May.